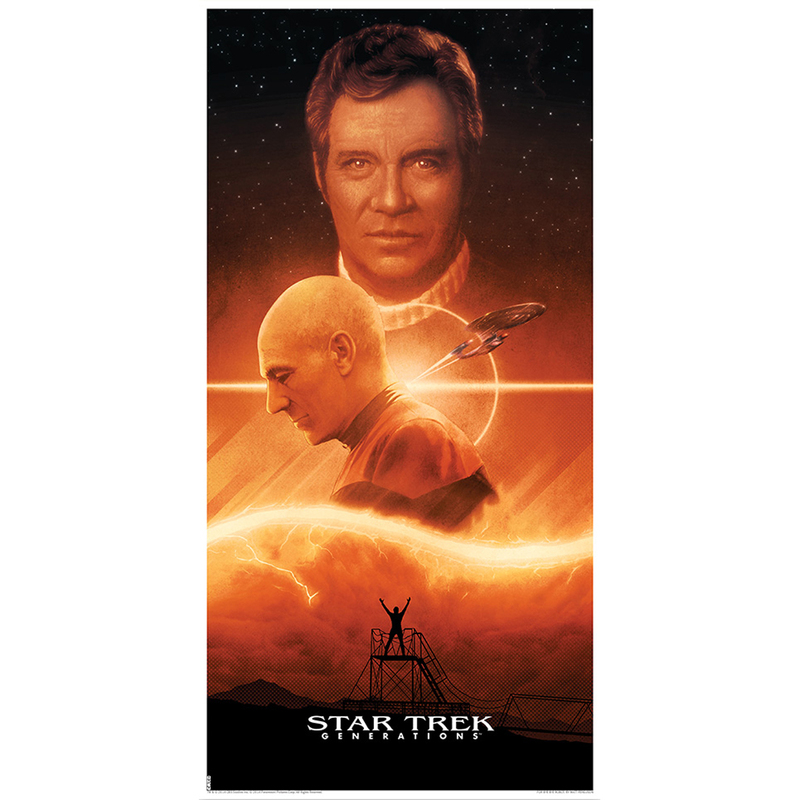 This lithograph is inspired by the first Next Generation movie, Star Trek: Generations, and is a unique visual representation of the story told within the film. Featuring key aspects from the film such as the Nexus Ribbon, the metal scaffolding platform, and the two iconic captains. The print is designed to be reminiscent of the old movie-house posters we are familiar with from the past. Its height and width proportions convey the vintage styling of a bygone era. The restricted yet rich color palette Ferguson uses, is a beautiful tool that brings the additional 3 designs (purchased separately or in a complete set) together as a unified set, while their imagery shows off every story’s distinctiveness. This print is a striking combination of retro movie-poster design and Ferguson’s own personal style. It gives the viewer a glimpse into the heart of the film, and brings to mind the wonderful memories we all have of watching the movie for the first time. Printed on heavy weight 100lb paper. By artist Matt Ferguson from Bye Bye Robot.